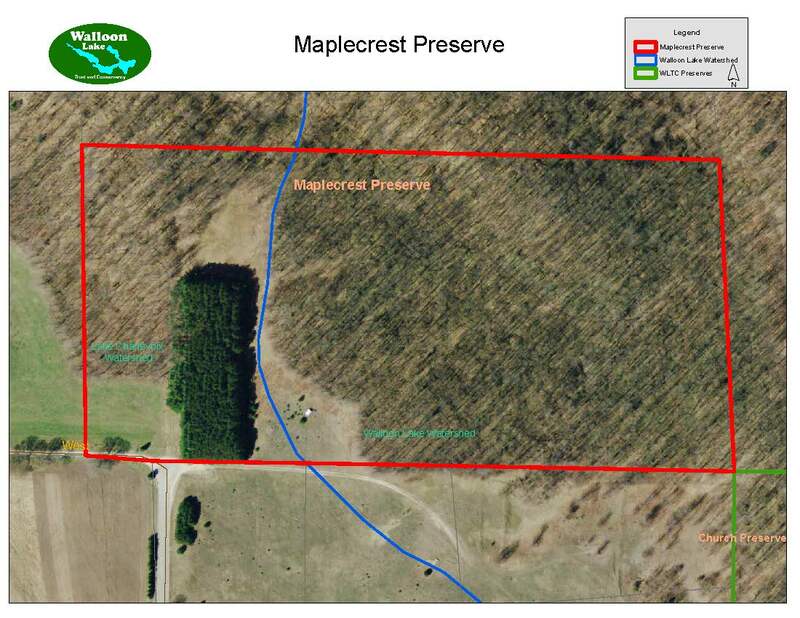 The Maplecrest Preserve is the result of a generous donation in memory of Paul and Alberta Baitinger by their daughter Maria Lohrmann and husband Bob. In September 2017, the Conservancy dedicated this preserve. Adjacent to the Church Family Preserve, this creates a larger corridor of protected lands along the high ridges between the Walloon Lake watershed and the Lake Charlevoix watershed. The hilly woodlands and red pine plantation create a nice spot for a quiet walk or picnic. From the Boyne City - Charlevoix Road just north of Boyne City, turn north onto West Road. At the end of West Road, continue toward the preserve sign and park. There are no trails currently through this preserve.